Rafael Cabrera-Bello and Charl Schwartzel are contesting favouritism for the Maybank Championship in Malaysia, but only a brave punter would have a win-only wager on either of them. Cabrera-Bello is one of the most consistent operators on the European Tour, but the Spaniard has become such a flaky weekend performer, tightening up badly when trophy chances present themselves. Even in a battle with 250-1 outsider Sam Brazel for the Hong Kong Open in December, Cabrera-Bello could not get the job done, and the Maybank 12-1 chance has not won for five years. Schwartzel teed up on his favourite course in his last outing – Leopard Creek Country Club in his homeland for the Alfred Dunhill Championship – but the four-time Creek champion played the final six holes in five over par. Schwartzel's humbling capitulation left him ten shots behind triumphant compatriot Brandon Stone. Bernd Wiesberger, who was unfortunate to be on the wrong side of a huge draw bias in the Dubai Desert Classic last week, is just behind Cabrera-Bello and Schwartzel in the Maybank list and a more appealing option. The giant Austrian, though, is lacking short-game confidence and not quite big enough at 14-1 to justify an investment. 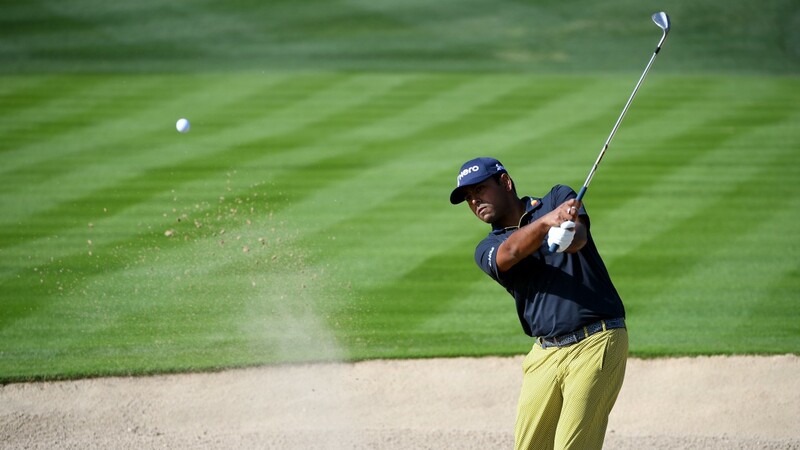 Preference at the prices is for the pride of India – ever-improving 29-year-old Anirban Lahiri. A shoulder strain forced Lahiri to spend four weeks on the sidelines after the Olympics, meaning he missed the FedEx Cup playoffs, but he is back to full fitness in 2017 and off to a bright start. Lahiri, destined for US Tour action after finishing fifth in the 2015 USPGA, can take great heart from the way he comfortably retained his Stateside rights last season. Sixth place at Colonial was impressive, and an even better US Tour finish came at the end of October with third spot in the CIMB Classic. The CIMB is played in Kuala Lumpur, where Lahiri won the 2015 Malaysian Open. He is a seven-time Asian Tour champion at a happy hunting ground, playing with the freedom of knowing he has a US Tour card in his pocket whatever happens at the Saujana Club this week. Lahiri has already posted four top-30 finishes on the US Tour this season and has become a class above most of his Malaysia rivals. He closed with a 68 for 19th spot in the Desert Classic on Sunday. Course form must be treated with caution this week as Saujana has been tinkered with since it last hosted the Malaysian Open in 2009, but Thongchai Jaidee clearly relishes the venue and looks a surefire contender. Jaidee's first two European Tour victories came on this course and a serious hat-trick bid should be expected. Jaidee is one of the fittest 47-year-olds on the planet and he has made it clear he still retains a hunger for titles. An eighth European Tour success came with a four-shot romp in the French Open last summer. The Thai terror is desperate to climb back into the world's top 50 by the end of next month to secure a Masters berth and 15th place in Dubai on Sunday suggests he may be peaking perfectly for Kuala Lumpur. Three European Tour titles in the locker and still seven months shy of a 22nd birthday - life is not bad for Korean starlet Jeunghun Wang, a short-game magician blessed with bundles of bottle. There is no reason why a fourth victory could not come on Sunday. Wang's missed cut in Dubai last week is easy to forgive – he was in the wrong side of the draw and suffered in the worst of the strong winds. And some mental fatigue was inevitable after the rigours of frontrunning in Qatar the previous week before winning a playoff. Wang, like Lahiri and Jaidee, is a proven performer in Asia who is comfortable in the heat and on the grainy greens. Complete a four-pronged attack with 2014 Ryder Cup star Jamie Donaldson. The Welshman's last victory came nearby in the 2015 Thailand Golf Championship. The 41-year-old has suffered with injuries since, an arm problem ruining the second half of last term, but fitness has returned. Three outings this year have resulted in two missed cuts, but both were by a single shot, and last week in Dubai he was out in the worst of the weather. Donaldson was 29th in Abu Dhabi and is too good to remain in the doldrums for much longer. The Korean is a prolific winner on the Japan Tour (13 wins aged 30) who warmed up with third place in the Myanmar Open last time out. Dark horse. The Big Dolphin was sixth on his Saujana debut in 2005 and seventh in 2007. The Thai played nicely in Dubai last week and could threaten a place. Malaysia actually has a promising golfer these days – Green has impressed on the Asian Development Tour. The 23-year-old was a champ at Saujana as an amateur and could make waves this week at 250-1. Saujana Hotels are a sponsor of the Masters champion and he has more course knowledge than most. Has been in dismal form since the Ryder Cup. The Abu Dhabi champion has missed the cut in Qatar and Dubai since his return to the winner's enclosure. Could bounce back to form in Malaysia. The 1997 Malaysian Open champion at Saujana has a fantastic record of success in Asia. Two solid 2017 outings (Abu Dhabi and Dubai) mean he must be respected. Joakim Lagergren is odds-on with one firm and even-money with the rest for top Swede honours in the Maybank Championship, but those prices look like an overreaction to a positive fortnight in Qatar and Dubai. Lagergren was outside of the top 200 in the world rankings until the second week of November and there is no guarantee the youngster will perform at his best in Malaysia this week. He is a player who relies on his brilliant putting to make a score and his inconsistent tee-to-green game may be exposed on a course debut at the tree-lined Saujana Club. Lagergren missed the cut by nine shots in last year’s Maybank – his debut in Malaysia – and the short-priced favourite can be opposed at a juicy 9-2 with a much more experienced Asia performer. Rikard Karlberg has won twice on the Asian Tour and lives in Thailand. A virus meant an early withdrawal from the Dubai Desert Classic last week, but he was feeling better on Saturday and should be fit for Malaysia. Karlberg, the 2015 Italian Open champion, was fifth in the 2014 Malaysian Open. The rest of the five-man Swedish section comprises the Karlssons – Robert and Johan – and world number 469 Oscar Zetterwall.